To celebrate the launch of Kiehl's Midnight Recovery Eye cream, Kiehl's held a little competition with beauty bloggers which I won. The prize? A Midnight Recovery Serum pack for the blogger, and the following prize pack to give away to my readers. 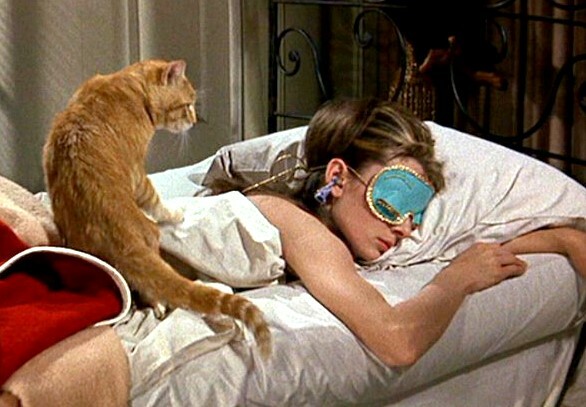 Audrey Hepburn in Breakfast at Tiffany's - no doubt she would be wearing Kiehl's Midnight Recovery Eye cream under that eye mask if it had existed in her time! Simply fill out the form below answering the following question - "How can Kiehl's help you fulfill your midnight fantasy?" Please keep your answers PG! Entries are open to Facebook or GFC followers only. *Disclaimer - Giveaway hosted on behalf of Kiehl's. I'm not paid to host this giveaway. <3 Loved Cat in BAT.